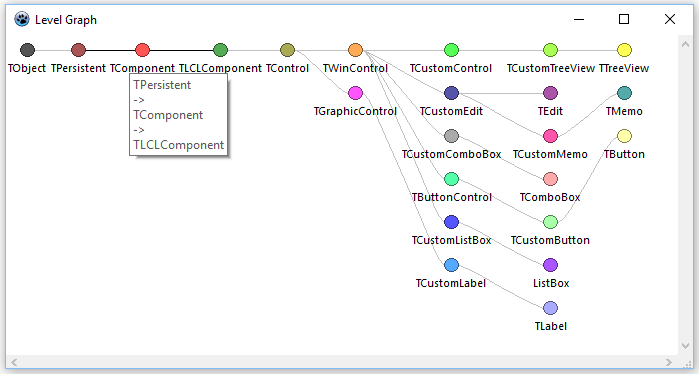 This example, a little simpler than that supplied with Lazarus, has on the form only a TLvlGraphControl (from the LazControls component tab). It displays the same data as the TreeView on the preceding page. The display is customisable as indicated in the Lazarus 1.2 release notes and the component offers great scope for experimentation. The screenshot is taken with the mouse pointer over the TComponent node.